Welcome to the 396th Daily Edition of the Daily Qurator. Below you will find some awesome members of @qurator that worked hard to post some good quality content for all you awesome Steemians to enjoy! WHAT a great drawing @huslein.slash has created! Guess how long it took him to draw? I never would have guessed. I have often seen this Latin phrase translated as through no fault but the above translations are more accurate, because the emphasis is that I (mea) am taking on the blame. In this case I am guilty! So what did I do wrong? Of what am I guilty? Don't panic, friends. I have not committed any crime or knowingly wronged anyone, but I did realize just in time that I had self-plagiarized! “How on earth can one plagiarize one's own work?” you may rightly ask! Well, I am glad you did ask! Oh no! Did @dmcamera really plagiarize... herself? Yes... that seems to be the case. Stop over and let her explain what happened and how to prevent an incident like this happening to you too! In my previous post (https://busy.org/@mikeycolon/being-selective-with-my-shots-in-washington-dc-with-the-monomad-challenge-in-mind-ae8f5cf1c0443est) I mentioned how I was in Washington DC for about a day and a half. I knew I wouldn't be able to shoot everything so I had to be selective (due to the time constraint). So I decided to bring my Pixelstick with me to create some dramatic light painting images at night with my newphew. UH-OH! guess who got detained by the Secret Service? Yup! You guess it! @mikeycolon. Stop over to see that happened after taking this fabulous picture of the Lincoln Memorial. In a recent discussion about healthy and diets - none of my friends agreed. There was a robust discussion and it lead to the conclusion that there are as many diets and ways of eating as there are opinions. There are no guarantees that one will never become ill if one exercises and eats healthily because there are so many perspectives and methods. So do you consider it healthy or a lifestyle change? Some people diet and have success, while other need to change their lifestyles; and ways of thinking about food, to be successful. Your thoughts? We know times are tough now and we all have to push a little bit harder. We came up with two programs that will help you earn some extra upvotes and visibility from Qurator, and will also help Qurator to reach more Steemians/your friends that need some extra help. 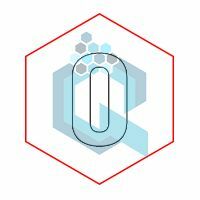 Write a post about Qurator. Our long time members know how it all works. You have been with us through thick and thin. Share your experience with your friends and followers. 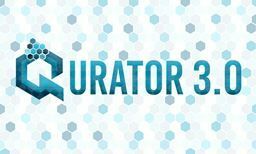 We would love to know how our members see Qurator and what they like (or don't) the most about the project. Feel free to write in your own native language. We are open to all languages and have already translated our main Qurator post to several languages. Well written posts will receive some extra upvote love from Qurator and a resteem. :) Feel free to drop your post link in our Daily Qurator comment section, so we don't miss it. Do you know someone who is starting out? Or maybe someone who is posting great posts for a while but still need more exposure? Refer Qurator to your friend and after they get approved and become a member you will also receive a bonus 1SBD upvote on your most recent posts. Keep in mind that all registration rules still apply and all account will be reviewed by our team. You can read about content requirements in THIS post. Note: Both programs are open to everyone, not only Qurator members. Required Image Sourcing for the Qurator Project. Check how to do it properly. Recent Tier changes - please read HERE. - To view our most recent witness update click HERE. - For more details go check out our witness page and consider voting for us. Additionally for all members we have Toss up Thursday, a biweekly free for all post-promotional competition. For those who would like some extra upvotes from the Qurator project can send SBD and their link to @qustodian. This little bot is available to Qurator members only. - Send any amount of SBD and your link to receive upvotes. - Any extra SBD will be refunded. - The bot will upvote your post to the value of 2.35 times the amount of SBD you send. 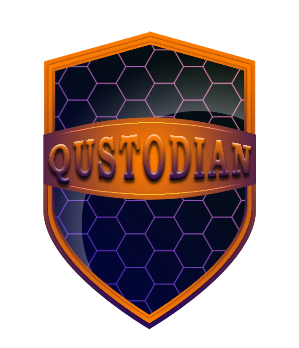 For those who would like to invest some Steem Power, @qustodian pays out 90% of all the SBD sent to the account. Delegate minimum of 50 SP to invest and receive daily payouts in SBD. Please remember to leave at least 50SP in your account! Check out Tiers and how to gain access to them. After you click the link you will have to check the value, click next and then enter your Steemit NAME and Private Active Key to delegate. Please remember to leave at least 50SP in your account and that new delegations overwrites the old one. Always use the total amount you want to delegate. The new curation trail is active and running! 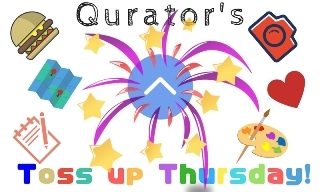 If you would like to support your fellow Qurites or just earn some extra curation feel free to join our curation trail that is active on Steemauto. Very cool and unexpected! THANK YOU! You're very welcome! The image is amazing with a very cool story behind! Glad you like it :) Grab a cup of tea and enjoy! It was our pleasure :) Have a great day! Your UA account score is currently 6.651 which ranks you at #120 across all Steem accounts. Your rank has dropped 1 places in the last three days (old rank 119). In our last Algorithmic Curation Round, consisting of 329 contributions, your post is ranked at #25.